Some might say Jort van Sisseren is tilting at windmills. If that’s really the case, then as a native of the Netherlands operating a new kind of marine Internet business in Amsterdam, he has plenty of potential targets. Others might say he’s pioneering an innovative concept in Web-driven used-boat sales that could make a big splash if it catches on. The jury is still out. Van Sisseren, 32, and his partner, Willem Bouwe Bekking, a 49-year-old Dutch veteran of numerous around-the-world Volvo Ocean Races, are refining and marketing a website that automates the process of buying and selling pre-owned boats, eliminating brokers from the deal and saving sellers the customary 10 percent commission charged in North America. The two budding Internet entrepreneurs are hoping to turn the website, www.doityourselfyachtbroker.com, into a viable business model. They say traditional yacht brokers haven’t taken full advantage of the Internet, a claim disputed by Vincent J. Petrella, executive director of the Yacht Brokers Association of America in Annapolis, Md. A vast majority of today’s brokerage sales are, in fact, generated online, says Petrella. A yacht sale is a very complex transaction that can easily go wrong and is best carried out by a professional broker with fiduciary responsibility, he says. Last November, the company behind the DIY website, Easy Yacht Brokerage B.V., launched a major redesign. The initial website saw the light of day in April 2011 during beta testing in the Netherlands and Belgium. Coverage soon extended to the United Kingdom, Ireland and Germany, and now includes the United States, Canada, Australia, New Zealand and South Africa. On the website, sellers establish an account that enables them to list their boats free and upload an unlimited number of photos, as well as video. 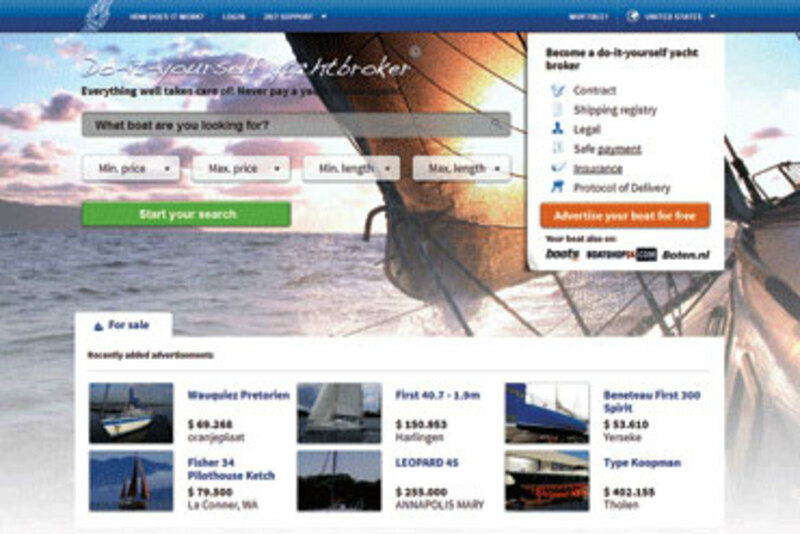 The listing is automatically posted on several established used-boat websites, including Boats.com, and Easy Yacht Brokerage picks up the tab. The extra free exposure is a value proposition to sellers that boosts traffic. 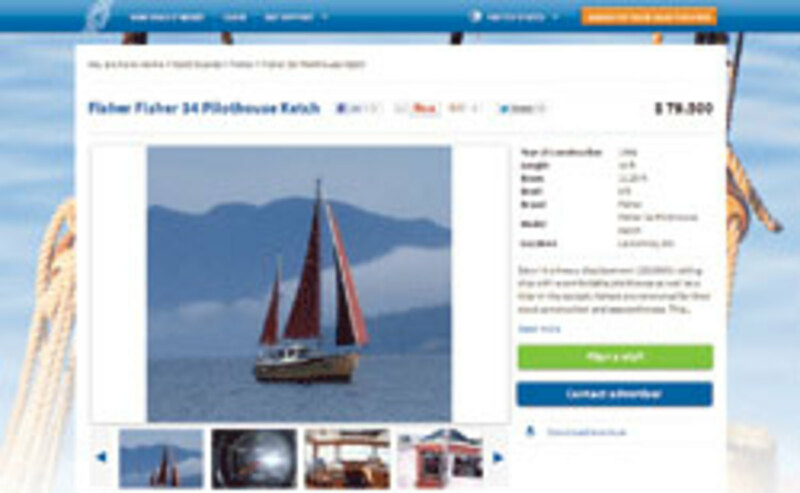 When buyers see an ad for a boat and want more information, they contact the sellers directly. The sellers then show the boats and negotiate with the buyers. Depending on the location of the boat, buyers can use the website to find the nearest surveyor through Google Maps to book a survey for condition assessment and price valuation for insurance and financing purposes. If the parties agree on a price, they access the automated sales module on the website that guides them through all phases of the sales transaction. Use of the module is free and will remain so even after the company begins charging for yacht listings, van Sisseren says. The sales module automatically adjusts to variables — country of origin, boat registration and location, seller mortgages, buyer financing and so on. Both parties receive a sales agreement, a protocol of delivery, a bill of sale, a delivery checklist, recommended safe payment procedures (a bank guarantee or an escrow account through a lawyer), insurance details, registration and other documentation. “Template contracts are based on professional yacht brokerage agreements, and our lawyers are improving the contracts when necessary or are adapting them to [applicable contract laws],” van Sisseren says. The foundation of the concept isn’t new. Buyers and sellers of used boats have often consummated successful transactions without yacht brokers, particularly at lower price points. In the last decade, the proliferation of used-boat websites attests to the power of the Internet to sell boats, and most of those sales are facilitated through yacht brokers. Van Sisseren wants to take it a step further. His Holy Grail is to give sellers a way to use the Internet to eliminate the broker from the sales equation. He says the savings on the commission builds more price flexibility into the deal, which is better for both parties and will result in more used-boat sales. He says his primary focus is on boats priced between $25,000 and $350,000. Petrella points out that the required steps for selling or buying a boat can be quite complicated. Potential issues regarding the survey, sea trial, renegotiating based on survey results, providing expertise about where to turn if there is an issue to resolve, insurance, financing, titles and disbursement of funds per the terms of sales contracts often demand the expertise of a trained professional bound by a code of ethics and who adheres to standard business practices and uses standardized contracts. “Yacht sales professionals have a fiduciary responsibility that may not be present if you’re dealing with an electronic source for buyers and sellers,” Petrella adds. Van Sisseren says the company remains neutral and that it merely provides an automated resource to facilitate transactions between buyers and sellers. In a sense, the concept works a little like an Internet dating service. The onus is on the two participants to make things work out. That means the seller bears the responsibility of fielding inquiries, showing the boat and dealing with the buyer from start to finish. Van Sisseren admits that can be time consuming. “You must ask yourself how much you are willing to pay to have someone show your boat to potential buyers,” he says. 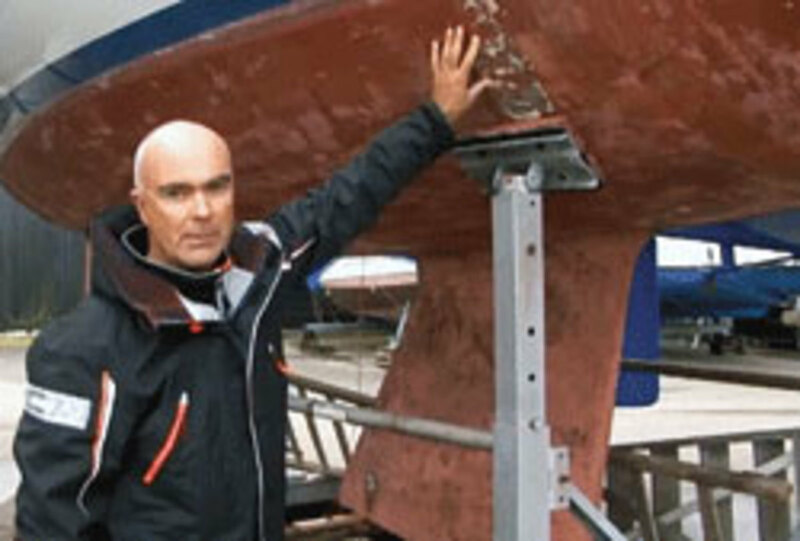 At the time of this interview in early January, DoItYourselfYachtBroker.com had about 500 listings and had sold five boats since its inception, according to van Sisseren. Traffic more than doubled after the launch of the redesign in November, from about 3,500 to more than 7,000 hits a month.